First of these is Sideshow, a US-based company that specialises in producing exacting ready-built scale models of the most iconic science-fiction heroes and villains. A full-size Tony Stark, aka Iron Man, greeted visitors to the Amerang stand. 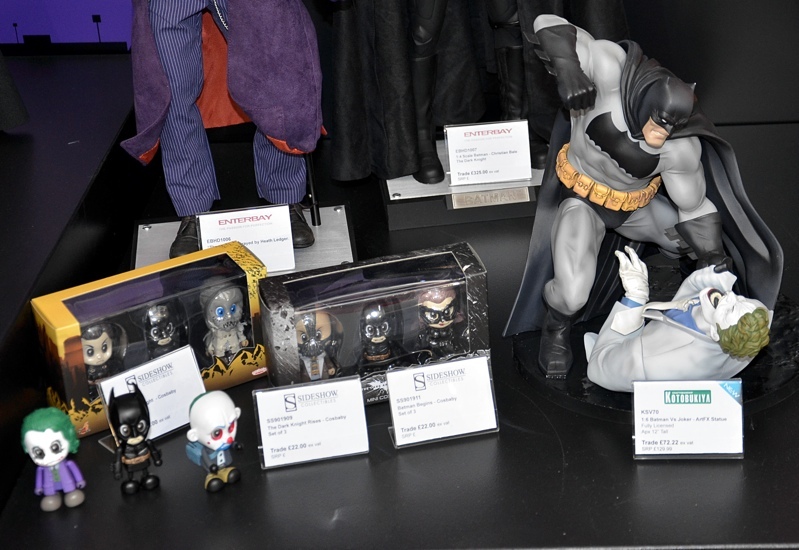 Kotobukiya’s Batman vs. Joker (above right) with (left) Sideshow ‘caricature characters.’ The legs of the Enterbay Joker are visible behind. Kotobukiya is a Japanese company, while Enterbay is a relatively recently established Hong Kong outfit that began operations in 2005, and also produces figures, with many of these having ‘real fabric’ scale clothing. 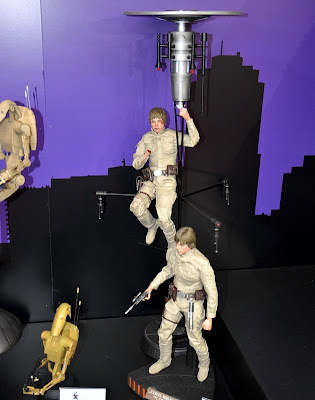 Two action-pose Luke Skywalkers from Sideshow. Note the robotic opponents at left. 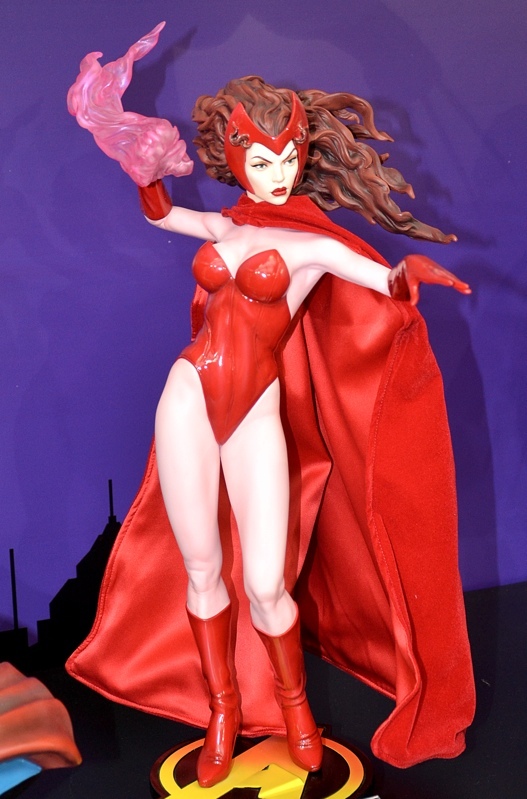 Sideshow Scarlet Witch from the Avengers, and (below) the Incredible Hulk to 1:6 scale. 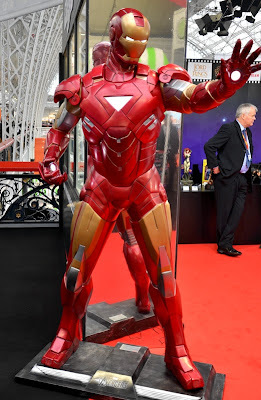 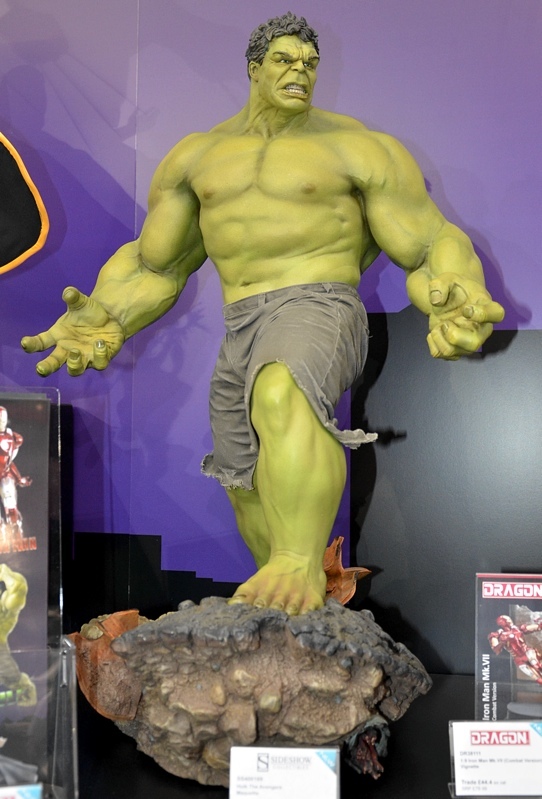 Dragon, the Hong Kong company whose kits of armour, ships, and spacecraft often feature in SMN, also makes fully-finished movie comic-book characters, including the Avengers. Dragon also has them in kit form, though telling which version is which, even when referring carefully to brochure and photos, is not straightforward. 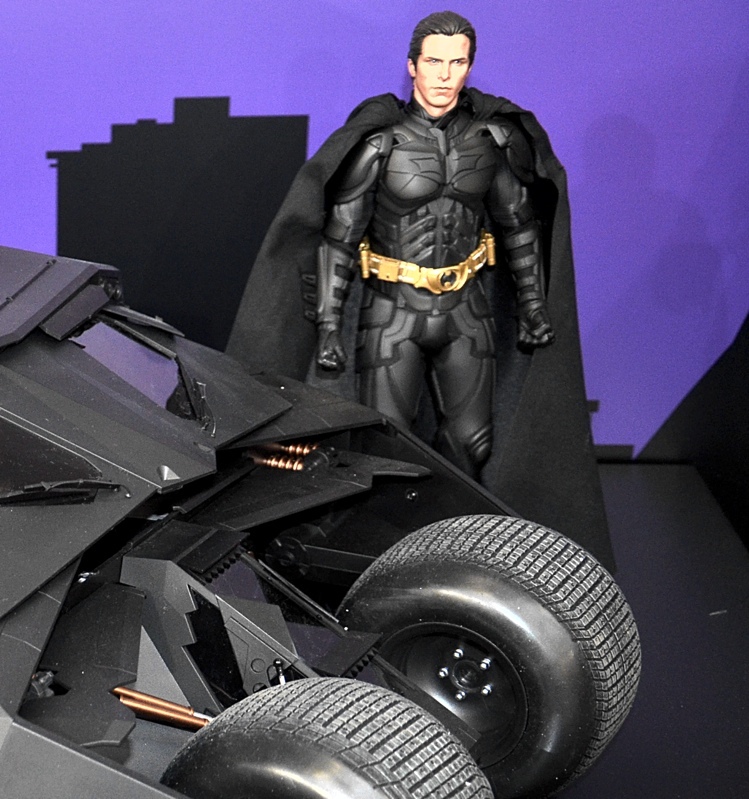 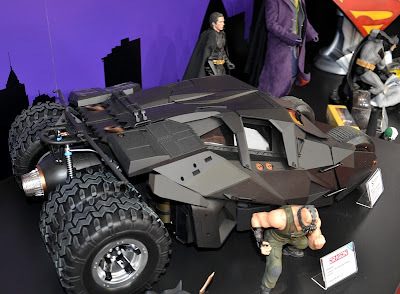 From a personal point of view I have to say the most impressive of these collectibles was not a figure - it was the Batman 1:6 scale Tumbler, measuring almost 800 mm (30 in) long. Actually, the black finished one on display was labelled ‘discontinued’, and it appears that a new version in camouflage finish will be issued in 2013. 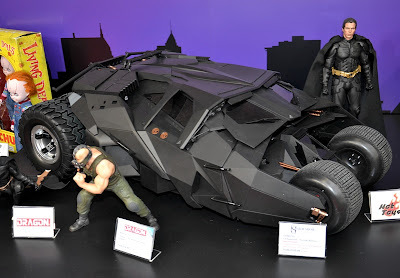 The Dragon Bane figure (below, foreground) is unfortunately to 1:9 scale, so the juxtaposition next to the bigger-scale Tumbler is a bit odd! At two and half feet long however, maybe either version of the 1:6 scale Tumbler is a little large for the average mantelpiece! 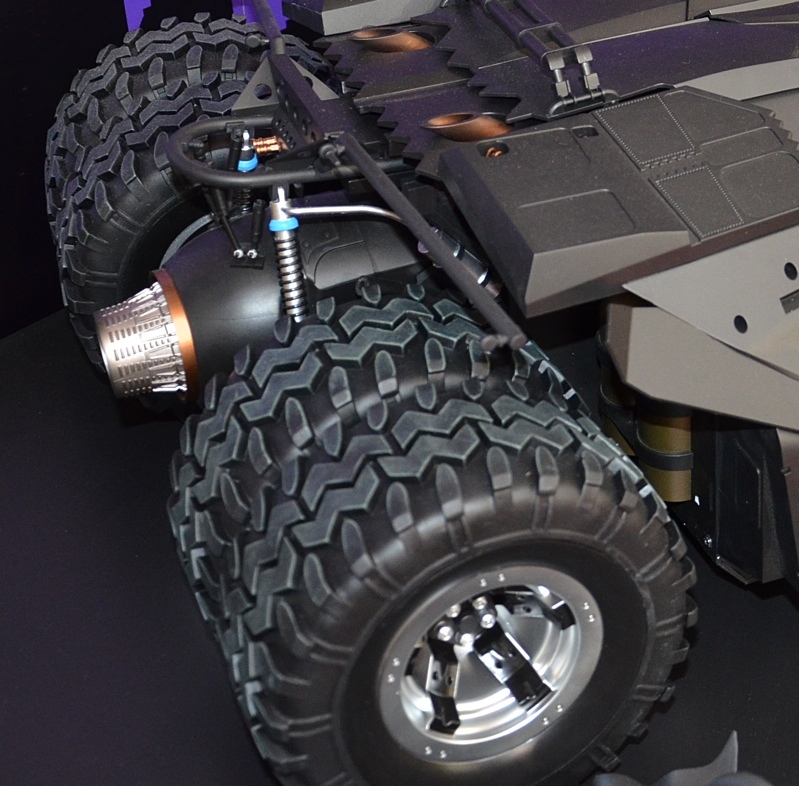 SMN Note: Nice chunky detail here, on one of our favourite fantasy vehicles.